Right this moment, I&apos;m sitting in the heart of downtown Wilmington, the corporate capital of the world, surrounded by tall buildings bearing the names of multinational banks, all within spitting distance of I-95, a stretch that NPR once dubbed The Road More Traveled. But if I got into my car right now and pointed my bumper north along Route 52, right over that dastardly I-95, it would take me less than 10 minutes (the way I drive, anyway) to get here, to the Winterthur Museum, Garden and Library, an oasis of beauty and calm on the east coast of the United States, and just one of the 11 stops along the Brandywine Treasure Trail. The beauty of northern Delaware, with its huge expanses of land preserved and protected by generations of the DuPont family, is a shockingly hidden secret that&apos;s open for discovery along the Treasure Trail. 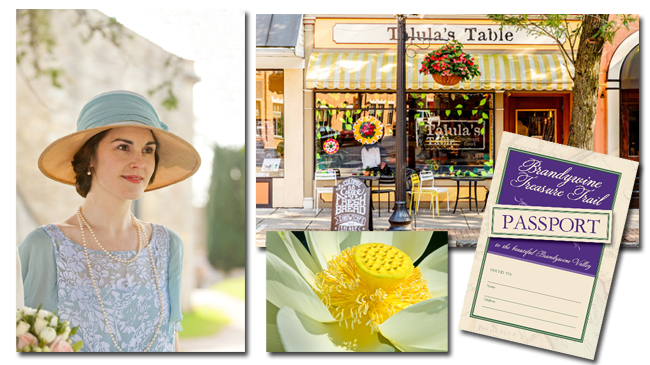 The summer passport allows visitors (and locals) a chance to visit 11 museums, gardens and nature preserves (including the Costumes of Downtown Abbey exhibit) in the Brandywine Valley between May 24 and Sept. 1, for the actually amazing (no fooling) low ticket price of $45 for individuals, $95 for families up to two adults and three kids. But heres a tip: As you drive from attraction to attraction, give your GPS a vacation, send Siri packing, and get lost on the many small roads that crisscross northern Delaware. 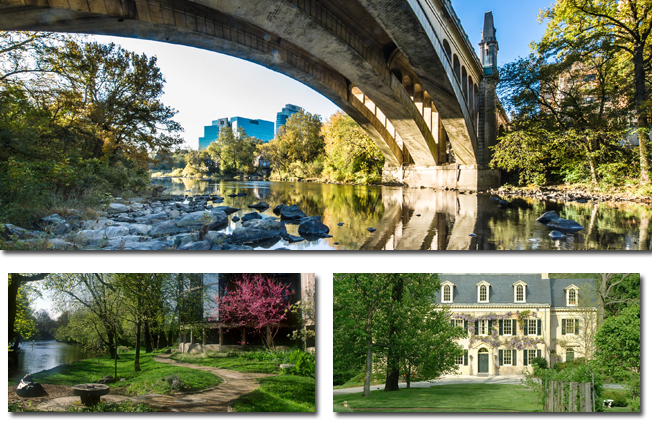 With their old stone fences, unexpected lake views and gorgeous homes peeking out from behind tree-lined streets, these roads are a Brandywine treasure unto themselves. And they demand a decent picnic. Many of the sites on the trail offer picnicking facilities on site, as do many of the nearby state parks. (Or you could pull off the side of the road and throw a blanket down along a quiet part of the Brandywine River. I won&apos;t tell, but you didnt get that from me.) But the perfect impromptu picnic does require a little planning. Where to get the spread? Depending on where you enter the trail, here are five spots that won&apos;t disappoint. (And yes, you might be able to tell that I favor the bread-and-cheese picnic spread. Whats not to love?) Talulas Table, Kennett Square By night, this one-table-only BYOB is one of the toughest reservations to get in America. (Interested? Start calling at 7am, exactly one year in advance of the day you&apos;d like to dine.) But by day, Talulas Market is open for breakfast, lunch and takeout, with more than 100 cheeses (both local and international) in its impressive cheese case, along with homemade salamis and house-baked crusty bread. (If you&apos;re getting cheese, look around for a bag of the crostini made from yesterdays bread and hope they had some leftovers the day before.) Fresh-made, ready-to-go sandwiches are also available in the deli counter. Start your day here with a cup of coffee and a scone, and take what you need for a packed lunch later in the day. The Country Butcher Fine Foods Market, Kennett Square Far more than just a butcher (as the name might suggest), this market boasts an impressive cheese selection (including cheeses from six local farms in the Lancaster/Uniondale area), under the careful tutelage of cheesemonger Daniel Mercantuno (formerly of Brasserie Perrier in Philadelphia). There&apos;s a wide selection of artisan sausages, sandwiches of freshly roasted meats made to order, and a delightful selection of crackers and pates to make the picnic. (Bread, including the croissants, come from Georges Perriers new bakery.) Whole Foods, Glen Mills Yes, you&apos;ll find quinoa salads and all the other organically-traded health foods you can handle at this Whole Foods, but there&apos;s also much to love here from the picnickers perspective, from the engaging cheese case in the back left of the store to the selection of freshly baked breads and cookies. Much of the prepared foods (pizzas, sushis, wings) won&apos;t exactly travel well to the picnic blanket, but look around for ficelle sandwiches lightly stuffed with hams and cheese, homemade pickles and DIY salad bar. And lets face it, they have the best selection of bottled fruit juices and iced teas that you&apos;ll find anywhere. Trader Joes, Wilmington It may be a wee bit small as far as Trader Joeses goeses, but the cheese case offers a lot of value for the money, and the little sea-salt brownies will make any picnic immediately more delightful (and fattening). Wander through the produce section for peaches and other summer fruits in season, and the dips (from hummus to guacamole) make for an enticing lunch. (FYI, I know you might like your Two Buck Chuck, but sadly, Trader Joes in Delaware can&apos;t sell wine.) Janssens Market, Greenville Just down the road from Winterthur and well prepared for all your picnicking needs, Janssens market has a world class cheese case where the cheesemongers on duty will offer samples and offer suggestions. Grab a container of olives, some salami and freshly baked bread, and then take a wander down the long case of prepared foods, many of which taste just fine served cold. Tell them you&apos;re there for a picnic, and theyll help put together the perfect boxed lunch (with sandwiches either made to order, or designed by chefs and named for local landmarks). Downton Abbey Photograph by Nick Briggs 2012 Carnival Film & Television Limited. All Rights Reserved.